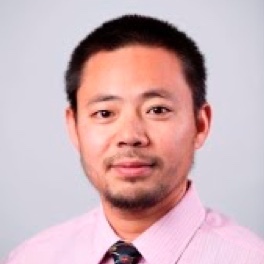 Dr. Weihua An is Assistant Professor of Sociology and Quantitative Theory and Methods and a faculty member of the East Asian Studies Program at Emory University. He received his Ph.D. in Sociology and a Master’s degree in Statistics from Harvard University. His research focuses on network analysis and causal inference with applications to studying economic sociology, medical sociology, and organizations, substantially in the Chinese context. In network analysis, he studies social networks as a medium for social influence, a platform for social prediction, an object of social perception, and a mechanism for social inequality. In causal inference, he studies matching and propensity score methods, instrumental variable methods, and causal inference under interference. His work has appeared in Social Forces, Social Science Research, Sociological Methodology, Sociological Methods and Research, Social Networks, Network Science, Journal of Statistical Software, The American Statistician, and The R Journal, among others. He isalso an author of several statistical software, including “LARF” for instrumental variable estimations of causal effects through local average response functions and “keyplayer” for locating key players in social networks.